France is a fairly hospitable country for gluten-free travelers. On a scale of Italy, where I could eat cheese-less pizzas, vegan tiramisu, and fresh pasta in every city, to Mongolia- all dairy, mutton, and wheat dumplings- France doesn't fall far behind the US. Every grocery store carries gluten-free cookies and pasta. With so many dedicated gluten-free restaurants, you don't need to risk cross-contamination. Here are a few gluten-free (and zero-waste) restaurants / hotels we enjoyed in other French cities. This isn't an exhaustive list, only the ones I've been to. Even if you don't eat gluten-free, these places are worth the trip! 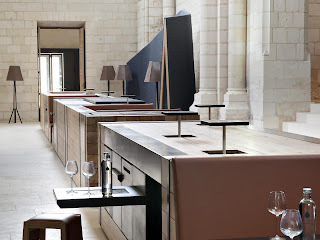 A UNESCO world heritage site, Fontevraud composts, avoids excess packaging, and sources ingredients locally. They make gluten-free, vegan, and vegetarian meals, served at a private or communal table. Cute vegan restaurant, tea room, and wine bar with gluten-free / raw dishes and desserts. Beautiful tea room and restaurant with an array of gluten-free plates and desserts, including my first tarte tatin. We went with a friend from the area and he said someone in the kitchen must be gluten-intolerant, because even in a touristy chateau, it's rare to find a place so sensitive to food allergies! Attached to a Clarins spa, in a quiet village just a few hours from Paris, this boutique hotel guarantees gluten-free meals to visitors, including tartes, quiches, and pâtisserie. For a classic establishment (it's been around since the 60s), Chez Laurette is fairly progressive, offering vegan, vegetarian, gluten-free meals and desserts on the bustling terrace. Vegetarian and gluten-free friendly organic B&B. Historic farm turned B&B near Omaha Beach, serving gluten-free breakfasts. Each suite is named after a cat breed. I stayed with Bretons and didn't eat out much, but this local favorite has a great gluten-free menu and views on the sea. It's where friends go for special occasions. While the region- home to Altiplano gluten-free biere- is full of gluten-free options, celiacs should be wary of galettes. I've never had good experiences with them. 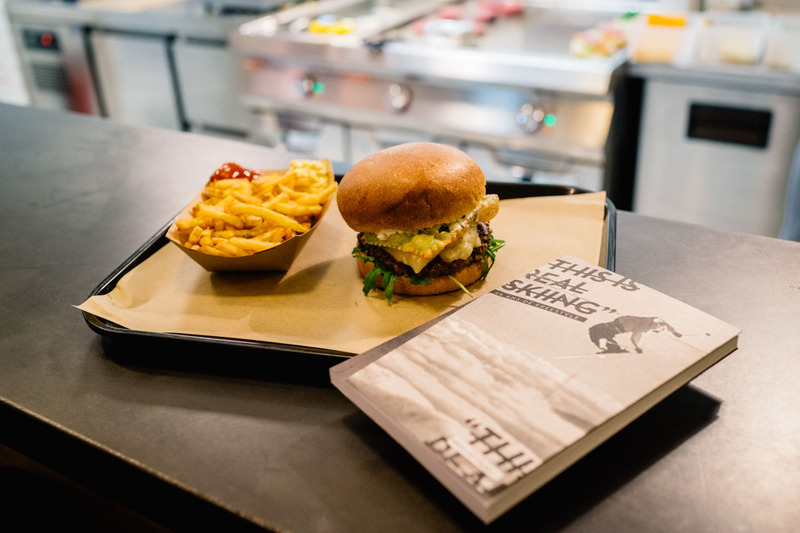 Run by BMX bikers, the Roster boasts an ethical supply chain and makes sustainable, delicious vegetarian / gluten-free burgers. I didn't try it, but apparently their cheesecake is awesome. Locals recommend the terrace of this cute organic restaurant, offering vegan, vegetarian, and gluten-free meals in a zero-waste friendly environment. They have a fountain for refilling water bottles, put food in your own containers for take-out, and use minimal or compostable packaging. The restaurant also serves ethically and locally sourced meat and fish. I still dream about the gluten-and-lactose-free chocolate fondant. For something fancier, try Impérial Palace, a gastronomic restaurant in Annecy. 100% sans gluten and lactose, with a stylish hotel and stunning views of the mountains and nature near Ardèche National Park. Friendly 100% gluten free coffee shop, restaurant, and wine bar with crepes, galette frangipane, brownies, pancakes, and more. Gluten free coffee shop serving great breakfasts, detox juices, and sweets with a specialty in artisanal coffees. Organic gluten-free and lactose free restaurant with awesome vegan bowls and cookies. Constructed in 1912 and abandoned for decades, this gorgeous restored residence opened as a hotel a century later. 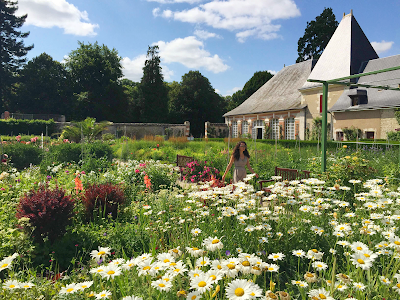 The gluten-free chouquette, beautiful grounds, and Michelin-starred restaurant are worth turning a visit to Monet's garden into a weekend getaway. Famous botanical café serving gluten-free cassolettes and vegetarian meals. It turns into a jazz club every night. Some of my friends are from here, so again, this isn't a region where I have a lot of experience eating out. The first time I visited Champagne, I went to Epernay and stayed at Maison Belle Epoque, which you can rent for weekends and photo shoots. It's a fairy-tale place to sleep, with beds designed by Hector Guimard, who created the iconic Paris Métro signs. For vegans / vegetarians, I recommend Chez Lou in Reims. My sister likes Michelin-starred Bistrot du Forum. Dufresne Damien boulangerie, A l'ère du temps crêperie, and Chateau d'Etoges also cater to gluten-free diets. 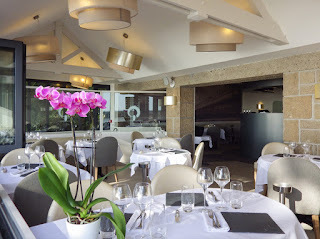 Gastronomic restaurant with private beach and gluten-free / vegetarian options, from penne pasta to chocolate moelleux and ice cream tuiles. Cupcake and coffee shop with gluten free cakes, wraps, pancakes, cookies, and options for dairy-intolerant or vegan travelers. There's even a celiac on staff! Beachside restaurant with gluten-free options. Gluten-free galette shop. The local specialty of Cannes, socca, is inherently gluten-free (chickpea flour), but cross-contamination makes it risky for celiacs. 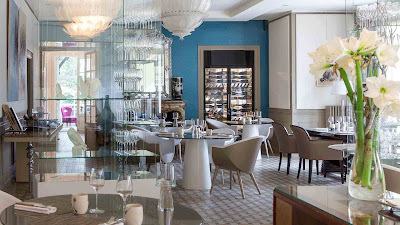 Classic Michelin-starred restaurant with seasonal menu, which caters to celiac and gluten-free diners. Gorgeous hotel between Uzés (where our family lives), Avignon, and Nimes, with gluten-free and vegetarian options. Enjoy vegetarian, gluten-free meals in a friendly, zero-waste atmosphere. Their take-home containers are Weck jars. My father-in-law recommended this celebrated restaurant, set beautifully in a medieval village. 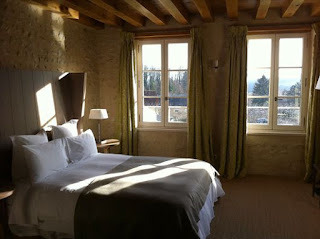 They serve vegetarian and gluten-free meals beside a lovely pool and Relais-Chateaux hotel. My sister said this was the best meal she ever had. Courses include locally grown veggies, stuffed flowers, and chocolate cups filled with cream and strawberries. Dedicated gluten-free restaurant and organic salon de thé. This was one of the first 100% gluten-free restaurants in France when I started coming here in 2011. So cute and bright and clean inside- French country without being cheesy. Dedicated gluten-free B&B set on nine beautiful acres, offering complete "gluten-free holiday" packages. Comprehensive gluten-and-dairy-free French cooking classes, from pizzas and tartes to pâtisserie, breads, and crumbles. 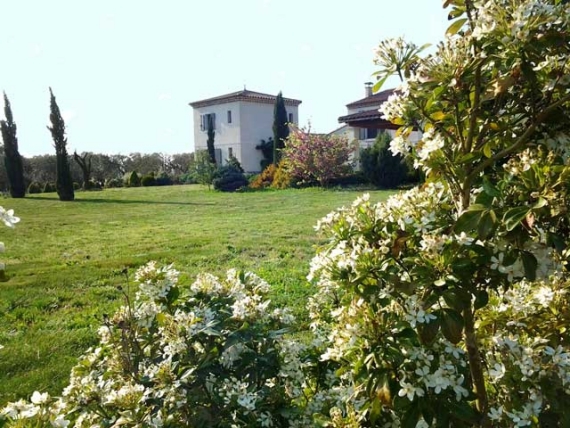 Gluten-free B&B situated in an olive grove. My sister recommended this restaurant, tucked away on a pedestrian street. They serve several gluten-free plates and desserts. Cute epicerie with gluten-free products. Gluten-free boulangerie. For families with gluten-free children, the daycare Family Sphere offers gluten-free meals. This stunning guest home caters to gluten-free, vegetarian, and vegan customers, with dedicated facilities for celiac-friendly food amidst olive groves, cherry trees, and fields of lavender. 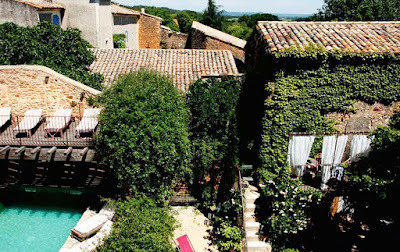 A dream hameau in the South of France. Wonderful 100% dedicated gluten-free restaurant, tea room, and epicerie serving tartes, tiramisu, and beers, mostly dairy-free. They are committed to zero waste, reducing packaging and composting everything. Adorable vegan and gluten-free tea room with cheesecakes, carrot cake, tartes, pizzas and more. As I mentioned in my Albi post, we stay with friends in this region, and they cook better than any restaurant! We ventured to Toulouse for a gluten-free meal- including dessert- at beautiful Le Bibent, and enjoyed wonderful gluten-free macarons, chocolates, ice creams, and pastries at Michel Belin. La Reine Margot is a dedicated gluten-free restaurant and tea room serving cakes, patisserie, and quiches. 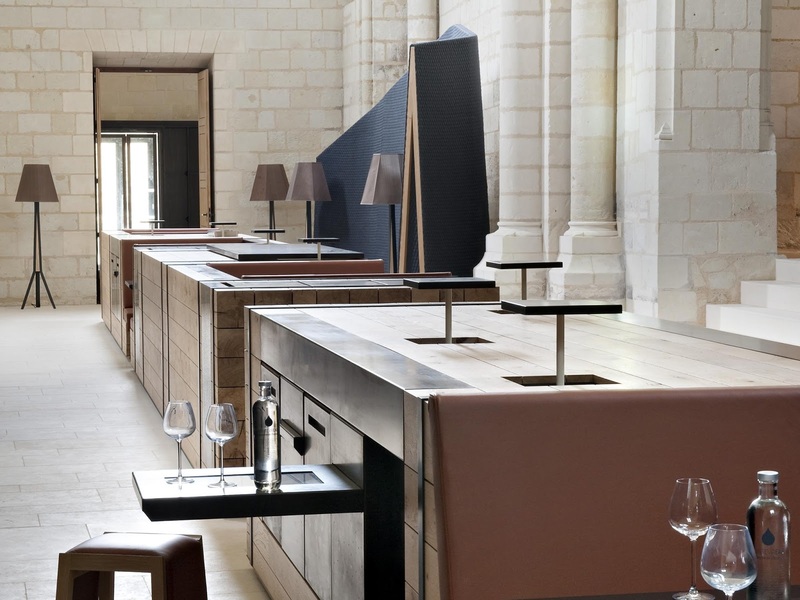 Glouton Frais delivers gluten-free food in Toulouse, and Rodez has a fusion restaurant offering gluten-free plates, Gingko. I biked through here years ago; I still find this the most difficult region to eat gluten-free. I stayed mostly with families and found cross-contamination too much to handle. Fortunately, markets offer lots of raw options. I can't tolerate corn here, possibly because they rotate the crops. One pizzeria, Pizzerio Serino in Hendaye, serves delicious gluten-free food. I would visit again in a heartbeat. Basque Country, surprisingly, seemed so peaceful and quiet. You could hear people uncorking wine bottles miles away in those hills! 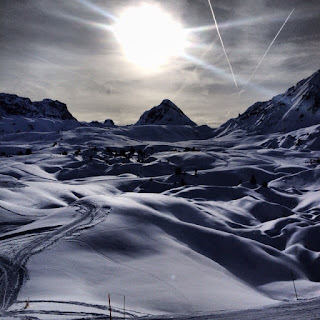 I've only been to Alsace and the Alps in the east of France. Gluten-free options are pretty standard- in my pre-vegan days, I liked raclette the best, especially with potatoes. I'm tired of writing, but Relais de la Poste is an excellent, fancy gluten-and-lactose-free restaurant, and Hôtel Villa Rosa offers vegetarian options. In the Alps, I like l'Impossible in Chamonix, which has organic, vegetarian, and some vegan plates. At Caviar Kaspia Courchevel, you can eat a gluten-free potato with- what else?- caviar, and at Le Mangeoire, drink gluten-free vodka with raclette. Cafe Nikki is the cutest place for a hot chocolate in Courchevel I think :) L'Annexe in La Plagne has one vegetarian dish as well as gluten-free tartiflette, while Le Mouflon serves GF Beauforton, fondue, and raclette with Genepi. Be warned, L'Annexe didn't have toilet paper or water in the bathroom when I was there, though the staff is friendly. 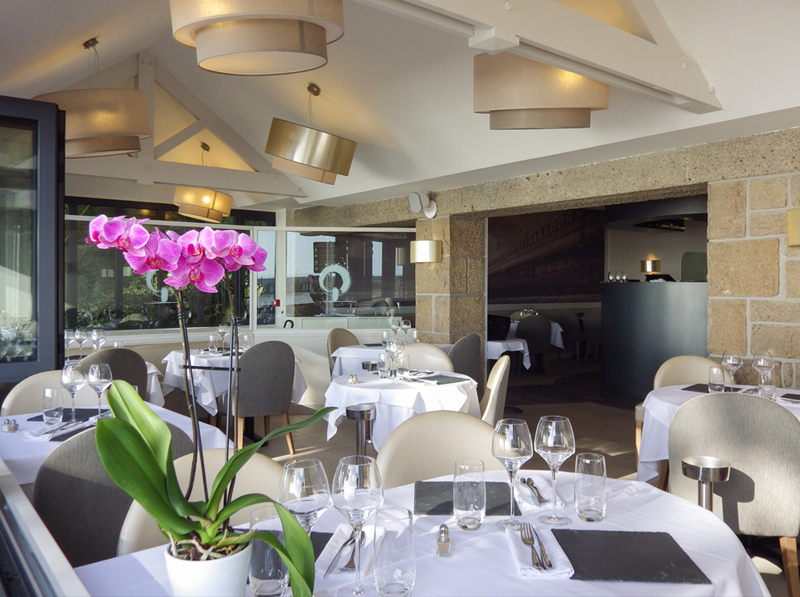 Maha Prana, Les Delices d'Alice and l'Albatros at Hotel d'Oleron use local ingredients and offer vegan or vegetarian meals. 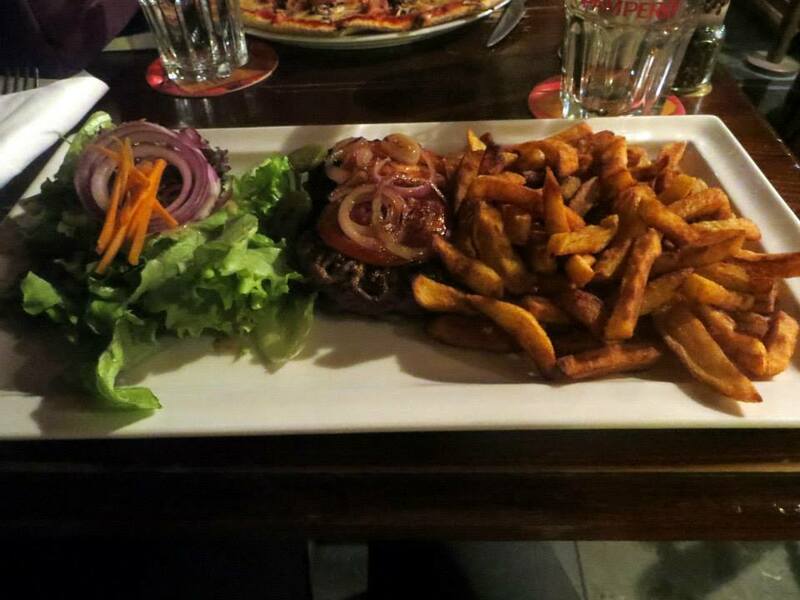 La Coccinelle on Ile de Ré serves fresh, seasonal, 100% organic gluten-free food. We plan on going to Corsica next to visit friends, so I'll update this section soon. Ok, those are most of the places I've been in France. 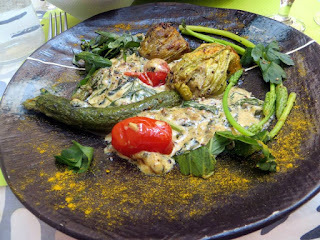 Rest'O and Smart Green Corner in Bordeaux are wonderful vegan and gluten free restaurants. If you just want a snack, the tearoom Mona Bordeaux serves gluten free food. The last three pictures are Le Vieux Castillon, Courchevel, and Cannes. I got lazy and stopped posting regionally-appropriate photos. WOW! This is a phenomenal resource, thank you so much for taking the time to put this together! Hi Cassie! You are so sweet. Thanks! Hey Ariana! Just a question because you mentioned Laduree. I believe I remember reading here that Laduree wasn't gluten-free. But the Celiac Chick's guide to France says it's safe. Could you clarify, please? Thank you for compiling this great list! I'm repinning all your Gluten-Free Guide to Paris pins for my upcoming trip. Hi Sona! Sure- according to Laduree's executive pastry chef Philippe Andrieu, their products risk gluten cross-contamination on their supplier's end. Their website notes many products may contain trace amounts of gluten. I kept getting sick from them, and I know two other celiacs here in Paris who absolutely can't eat there without getting violently ill. I wrote them since I wrote that post because I wanted to check, but all they've said is that the products could have trace amounts of gluten. They never asserted that their macarons were gluten-free or that their facilities were dedicated. Sorry it's such an unsatisfactory answer! I'd say for celiacs, it's not okay, but for other gluten-free people it should be fine. Ariana, thank you so much! This is the only English language gluten-free blog I've found from somebody actually living in France. Please keep posting! I'm moving to Paris in two weeks and this made me way less scared to eat out. Dear Ariana, thank you for the work you did here! Just in time, because my husband and I are planning for a short road trip trough france on our way to salary-sur-mer in august! Hi Carolin! Enjoy your trip :) It sounds wonderful. I've never been there before, please tell me how it is! But it looks wonderful. I love 3.14. I didn't know they served gluten-free. Beautiful photo of you in the flower field! Where was that? Hi Ji, thanks for the tip! I have yet to go to Mont Saint-Michel, which is a crime since it's so close. I can't wait to try it! I know Annecy and Chamonix well from way back, which frankly, are so close to Geneva (UN!) and a host of international foreigners, that I'm not surprised there are options for vegetarians and vegans (and celiacs). Brittany, on the other hand… we had a vegetarian guest and it was nigh on impossible to eat out. When the waiters got impatient we explained we needed vegetarian options and they looked puzzled and claimed things were veggie, looking puzzled when we pointed out ham or chicken in those dishes! If you don't like goat cheese or eggs, which is what our poor girl ended up eating most of the time, it is extremely difficult. Or just eat sugary crepes all the time… ;o!! Must be a nightmare for a vegan celiac. Oh, I've had that happen too- where they label a meal vegetarian and it definitely has meat in it. I've also seen things labeled vegan that have feta in it! And that was in Paris! Sorry you had that experience. She's lucky to have such nice friends! Fortunately Brittany is close enough to Paris that I can bring food for short trips and utensils so I can cook on longer stays. Hi Ginny, you are so sweet! Thank you :) I saw your friend's hotel could not accommodate her. That is too bad. MyFreeKitchen and Nous are near where she said she was staying and they are excellent for gluten-free options, much less pricey than Noglu. miss your posts, hope you're coming back soon! Hi, thank you so much! Hopefully next week I'll start posting again. I have been crazy busy traveling with work and my sister's wedding! Hi, I tried to send you a message through contact but it didn't work. I have a question for you! I "thought" that I saw somewhere on your blog a link for making those nice netted bags for produce. If my memory is correct can you point me to the post? Saw some nice ones the other day in Club Monaco, but $65CAD (ouch). Thank you! I like the crocheted version but it's a great way to reuse old tshirts too. Wow, that price is just crazy! You can get netted produce bags for 2 euro here. Awesome! I've just found you and I'm so happy to see that there are more gluten free places besides Paris, I still have to travel more around France, and I was wondering whether I'll have to live on the yoghurt + fruits for a while. Keep on the good work! Ariana, thank you very much for taking the time to compile this list. I will be visiting several of these areas in April 2018. Do you have any updates to this list, it is dated 2015. Thank you!